It’s another blue-skied morning in paradise. The kids are off to school and my husband just left for work. I take my laptop outside and sit on the porch behind our house to answer some emails while I enjoy the morning sun. I love this little patio. It’s a quiet spot with lots of green and bright-red heliconias. Little red chipmunks peek out at me from the leaves of the big palm tree above my head. Our lovely housekeeper Julie brings me a cappuccino and some home-baked ginger cookies. What a way to start the day. I have two client calls this morning and some emails to respond to. It’s a busy morning, all things considered, but, as an online life coach and trainer, I can be flexible with my working hours. I can decide my own hours and coaching through Skype means I never lose any time on travel or traffic. My afternoon will be quiet, so I’m planning a late lunch at one of my favorite restaurants with some friends and a perhaps a massage afterward. We’re spoiled for choice with the food options in Kuala Lumpur. This cosmopolitan, modern city, has a vibrant and diverse food scene with everything from authentic Japanese, Malaysian, and Indian fare to hip craft-beer spots and experimental, gourmet fusion restaurants. One neighborhood in particular, on the outskirts of the city, has gained a reputation for its top-class eateries and hip waterholes. Devi’s Corner, a local spot with the best Indian curries, is a favorite of mine. The spicy chicken curry with cashew nuts is a definite winner—it’s so good I almost feel bad only paying $2 for such a heavenly dish. For seafood, I head downtown to the center of the Kuala Lumpur’s booming street-food scene. Not a month goes by without me passing by to sample some steamed fish, barbecued stingray, or fried squid. And, at less than $5 per meal, it’s a no-brainer. But there’s more to this city than just food. Despite being a thriving modern capital, it’s home to an abundance of green areas and lakes—perfect for taking the kids out for bike rides. Our favorite spot is the Park City; a modern neighborhood built around a peaceful lake in the hills north of the city. After our bike rides, when we think we’ve earned our breakfast and the dog is all tuckered out, we go to one of the cafés along the lake for some cappuccinos, muesli, and pancakes. 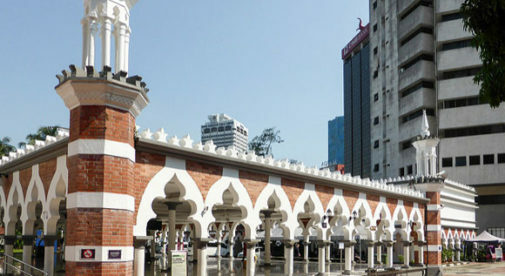 Positioned as we are in the heart of Malaysia, we’re in a prime spot to travel affordably to other enticing destinations and have enjoyed more than our fair share of low-cost family vacations. Just recently we took the kids to a peaceful Penang, just a three-hour drive and a short ferry ride away. In my life in Kuala Lumpur, I wake up every morning knowing that this day is going to be a great one. Not because I sit the whole day by the pool, sipping cocktails—although thinking about it, I totally could—but because life here is exciting. Of course, there are some challenges but, in the end, they only contribute to the experience. It’s all part of the adventure.